Sizes Twenty percent of the original size is great for 1024x768 screenies. For bigger sizes (and especially for multi-monitor setups), we ask you to keep in mind not everyone uses broadband, and use an even smaller size (10% of a Full HD setup will still be 192x108, for example). NOTE: Anything wider than 250px or over 50Kb in size will be removed. · Once the new year begins please do not post new screenies in the old threads. Sorry mate, but you're like literally second. My first go at this and hope all is well. Gnome on Arch clean and dirty. 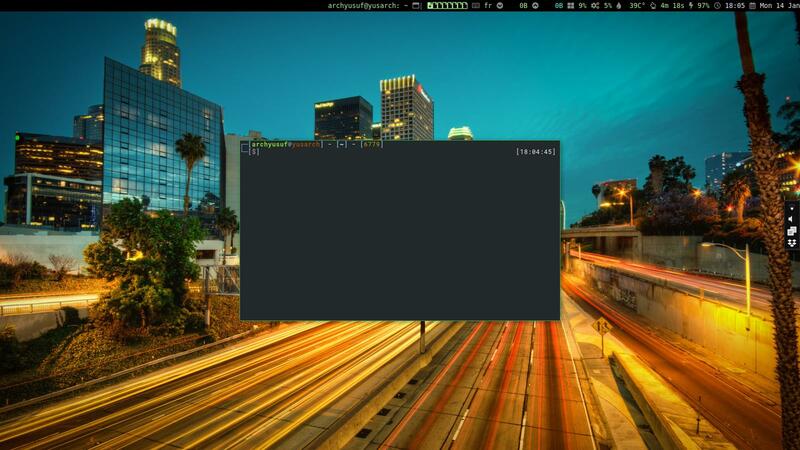 Have other Arch installs using Xfce which look much the same. 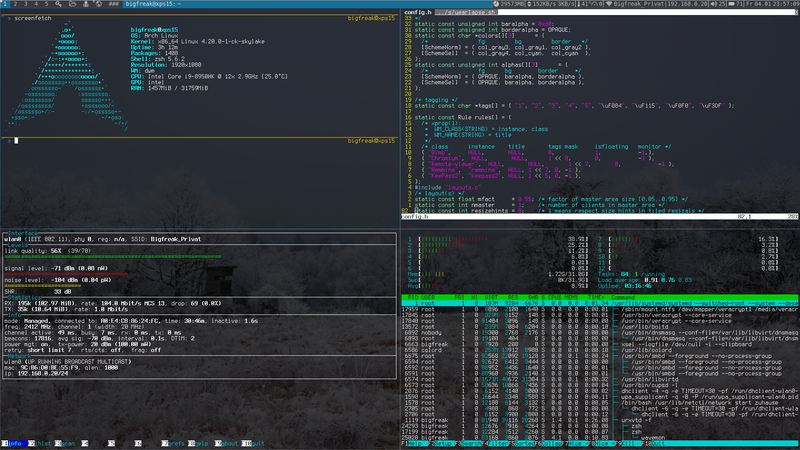 GruvBox color scheme for vim is eye candy. I like it even more then solarized. 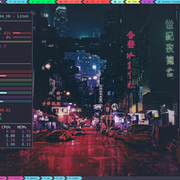 I'm new to this forum (although I've been using Arch for seven years xD), and I thought I'd share the look of my desktop as well as my dotfiles with you guys. 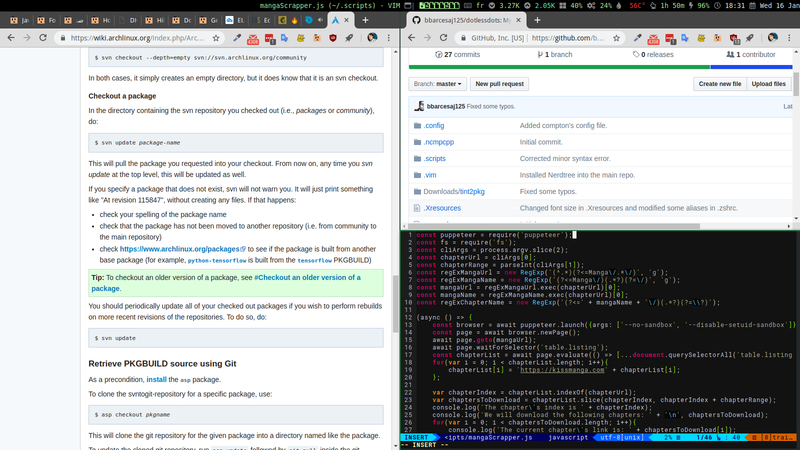 I mainly use i3 with a combination of GUI and CLI apps. I also have a KDE session on this install, I'll post a scrot in a bit. 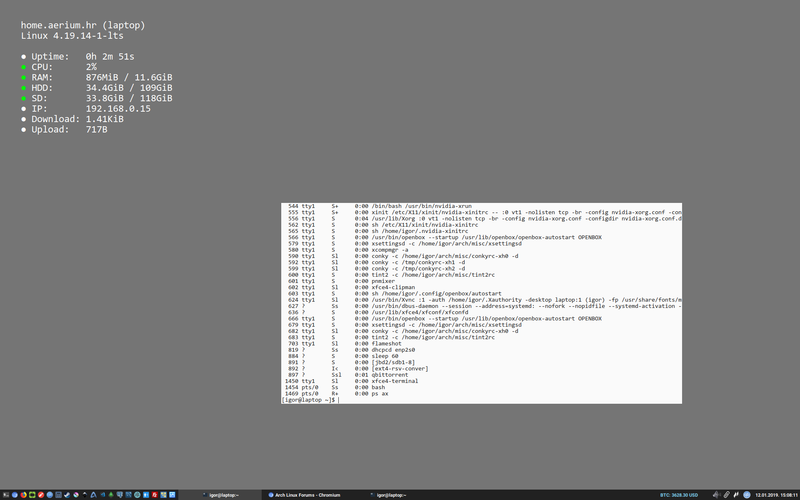 It's been a while since I've run Arch. My laptop can go unattended for days or weeks, so I need Debian's stability. Is that polybar? If so how do you get the arrows? Is that a font? @fsckr, are you asking about awesome? If so this is usual wibars and lain.util.separators.arrow_left/right functions draw arrows using Cairo. You can see how exactly in lain. Good example of using this stuff is powerarrow theme from awesome-copycast. But I thinks that with appropriate font (I use xos4 Terminus) it is possible to print arrow glyphs in textbox widgets instead. My old school Mate desktop, light weight and functional. 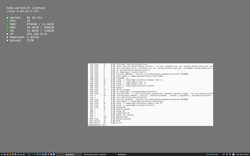 Played with Xfce this month. Your screenshots are beautiful. 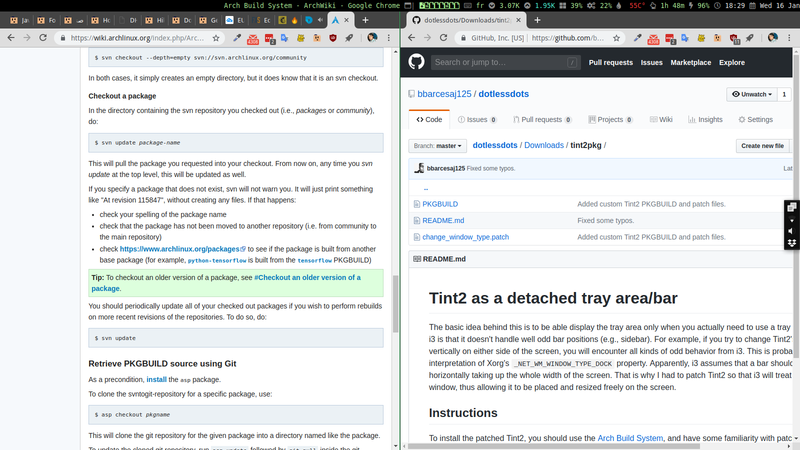 Your vim setup with gruvbox was so good looking, it actually encouraged me delve into fancy vim configurations to the point of abandoning VS code for good.